We’d love your help. Let us know what’s wrong with this preview of Science & the Near-death Experience by Christopher David Carter. To ask other readers questions about Science & the Near-death Experience, please sign up. This book is a cut above most of its fellows in the "New Age" or "Spirituality" shelves in the bookstore. It raises many issues, confronting normative science with anomalous data, but draws few convincing conclusions. A strength of the book is its attack on certain kinds of monistic materialisms, particularly those which see mind as entirely dependent upon and derived from brain. Here the evidences leading to contemporary quantam physics and of placebo effects, ESP, cognitive-emotive therapies an This book is a cut above most of its fellows in the "New Age" or "Spirituality" shelves in the bookstore. It raises many issues, confronting normative science with anomalous data, but draws few convincing conclusions. A strength of the book is its attack on certain kinds of monistic materialisms, particularly those which see mind as entirely dependent upon and derived from brain. Here the evidences leading to contemporary quantam physics and of placebo effects, ESP, cognitive-emotive therapies and especially some near-death experiences are effectively adduced to seriously bring this kind of materialism into question. Clearly, the model is insufficient to account for the data. However, Carter's own preference for a vague Mind/Body dualism which he apparently thinks allows for his pet belief in some sort of individual survival of personality after bodily death is not very convincingly supported and some important, ancillary issues are lost in his chase towards his goal. One is, of course, the philosophical issue of reconciling the sciences, all of them, under one understanding. This was accomplished adequately for the Newtonian world-picture by Kant in the 18th century and probably could be adapted and maintained even in the face of Einstein's unwanted child, quantam physics. It is certainly not accomplished by Carter who fudges on many of the important issues such as the relation of determinism in the physical sciences and freedom in the moral ones as well as the relation between personal subjective and the suprapersonal objective "mind". Much of what his evidence requires can be answered, at least tentatively, without recourse to notions of individual survival. In the sense in which he refers to it "materialism" serves as a straw man in Carter's arguments. There are such beliefs, yes, and they have more the character of metaphysics than of science, but afterlife hypotheses are not only objectionable from such perspectives. Everything he counts as evidence for personal perdurance could just as well be accounted for by some combination of psi-factors such as clairvoyance, telepathy, telekinesis, precognition etc. Further, all evidences he adduces are untestable and after the fact, just like reports of dream states are. There may, as Jung would have it, be a god-concept which is archetypally univeral, but that is not to say that there is a god in anything like the same sense that we say there is a sun or a moon or, to use Carter's example, France. Still, this book is a cut above others I've seen. The tales told are interesting and challenging, the documentation, much of it, solid. This book does a good job of summing up the primary objections to the strict materialist assumption of mind=brain. The book starts with consciousness and neuroscience, then moves from there into the near death experience while addressing all of the materialist arguments. It's interesting to note that as a last ditch attempt to get away from an afterlife scenario, many materialists will claim telepathy or clairvoyance might be involved... two phenomena they deny as "pseudoscience" under any other This book does a good job of summing up the primary objections to the strict materialist assumption of mind=brain. The book starts with consciousness and neuroscience, then moves from there into the near death experience while addressing all of the materialist arguments. It's interesting to note that as a last ditch attempt to get away from an afterlife scenario, many materialists will claim telepathy or clairvoyance might be involved... two phenomena they deny as "pseudoscience" under any other context. It's amusing to watch as the goalposts are moved. One wonders why such people are so dedicated to believing there is no afterlife. What, other than religious abuse and crazy hell doctrines, could motivate someone to such a fatalistic viewpoint even in light of evidence to the contrary? This book makes fascinating reading. I hadn't been much interested in NDEs and their validity didn't much matter to me one way or the other as evidence for life after death. I had been vaguely aware of the "scientific" explanations for them which which would dismiss their validity. But this book changed my opinion. The reality and validity of such experience seems very plausible. Carter deals very well with the usual materialist explanations for NDEs and finds them wanting. I would normally expe This book makes fascinating reading. I hadn't been much interested in NDEs and their validity didn't much matter to me one way or the other as evidence for life after death. I had been vaguely aware of the "scientific" explanations for them which which would dismiss their validity. But this book changed my opinion. The reality and validity of such experience seems very plausible. Carter deals very well with the usual materialist explanations for NDEs and finds them wanting. I would normally expect a lot of hype and exaggeration from a book like this, but Carter gives the evidence and the counter arguments a very even handed treatment. Science is not the loser here, only the materialistic assumptions that are often mistaken for good science. This was too academic for me. I probably could've understood it but I've already read other things that offered some proof/skepticism. The amount of work I'd have needed to expend to get additional proof/skepticism didn't seem worth it. The author is fond of directly quoting brilliant people. This is all good, but I like my books to be succinct distillations of wisdom that are as easy to understand as possible. I think the author could've done this as other authors have. For example, even though This was too academic for me. I probably could've understood it but I've already read other things that offered some proof/skepticism. The amount of work I'd have needed to expend to get additional proof/skepticism didn't seem worth it. Carter produces a thorough scientific investigation accreting the case for the separation of consciousness from matter and the inadequacy of materialism to account for NDEs. He provides incontrivertable proof within the parameters of, and buttressed by, quantum mechanic theory. The question of whether consciousness can permanently survive after death (rather than simply while 'near-death') is evidenced (but not proven beyond reasonable doubt) by studies of deathbed visions, the content of which a Carter produces a thorough scientific investigation accreting the case for the separation of consciousness from matter and the inadequacy of materialism to account for NDEs. He provides incontrivertable proof within the parameters of, and buttressed by, quantum mechanic theory. The question of whether consciousness can permanently survive after death (rather than simply while 'near-death') is evidenced (but not proven beyond reasonable doubt) by studies of deathbed visions, the content of which are consonent with near-death experiences. Overall, I found it well-written, well-corroborated and convincing. This is an excellent introduction to the subject of NDEs. If you've been reading into the area for any amount of time you may be frustrated by the seeming repetition of the essential ideas, but, then, this book was not written for you. Rather, this book was written to introduce the topic to neophytes. Where this book misses a step, though, is that it involves itself in demeaning attacks on the materialists in the same way that they have attacked non-materialists. This is not helpful. Good news th This is an excellent introduction to the subject of NDEs. If you've been reading into the area for any amount of time you may be frustrated by the seeming repetition of the essential ideas, but, then, this book was not written for you. Rather, this book was written to introduce the topic to neophytes. Where this book misses a step, though, is that it involves itself in demeaning attacks on the materialists in the same way that they have attacked non-materialists. This is not helpful. Good news the attacks are minimal and not vicious. But, meanwhile, most importantly: if you accept the author's line of reasoning-- and I'm not saying you should-- as providing evidence of an afterlife, then you may as well note that his evidence says that prior beliefs play no role in determining anything about near death experiences. Everyone gets the same peace and joy and reunion with loved ones et cetera. So ultimately there's little point in worrying about whether it's true or not or altering your behavior-- you Review, and rating, pending. 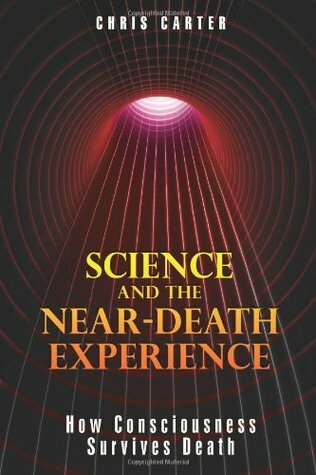 A well-argued book that is unashamedly pro the near-death experience as proof that consciousness survives beyond death. Carter draws on philosophical and scientific research, and develops his case from these writings. An book with interesting patches... about quantum physics and his defense for the separation of mind and body (arguing against materialism/naturalism). I did not think this book was written very well. He stopped short of "proving" that near death experiences are real.